You'll be £4.99 closer to your next £10.00 credit when you purchase The Age of Invincible. What's this? 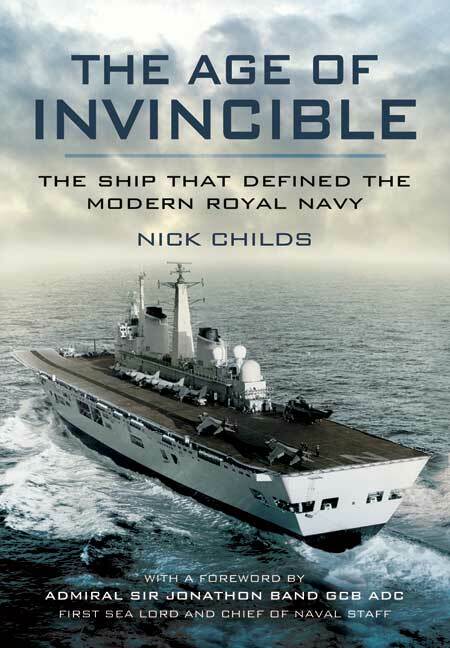 The story of HMS Invincible, a ship whose eventful life story, it is argued, embodies that of the Royal Navy itself during the second half of the 20th century and into the 21st. From her conception and design, through her various deployments (including the Falklands) and her evolving role and technical adaptation to meet changing strategic requirements, her fluctuating fortunes have been intertwined with those of the Royal Navy as a whole. Now, as a new breed of carriers is being commissioned to replace her, this thoroughly researched analysis of her career is the perfect platform from which to ask the important questions regarding the future role of the Royal Navy and Britains place in the world. An excellent naval policy book. An excellent and very readable account. The story of HMS Invincible, a ship whose eventful life story, it is argued, embodies that of the Royal Navy itself during the second half of the 20th Century and into the 21st. Nick Childs is currently one of the BBC's World Affairs Correspondents covering a range of international, diplomatic, and security issues from London and on assignments around the world. Previously, he was the BBC's "inaugural" Pentagon Correspondent from 2002 to 2005. He has accumulated much experience of working with and reporting on the armed forces of various countries. Among the international stories he has covered extensively are Israel and the Palestinians, Afghanistan, the Balkans, Sierra Leone, and Iraq. Previously he was a reporter for BBC World TV and, before that, Defence and British Affairs Analyst for BBC World Service radio. He also worked briefly as a reporter for Jane's Defence Weekly magazine, and has contributed to various journals on defence and international relations issues. He graduated in 1982 with a joint honours degree in Modern History and Economics from St Catherine's College, Oxford.